We are committed to high-quality repairs and preventative maintenance to help keep our customers and their families safe on the road. We are Olathe’s choice for quality auto repair & service. Women make up over half of today’s drivers driving more than ever before. With more women driving, that means more women are probably taking care of their vehicle’s service and repairs. Sometimes women can feel out of their element when they bring their car into a repair shop. Here at Anderson Automotive, we go out of our way to make our women drivers feel comfortable when they bring their car in to our shop. We want them to be confident that we will be honest with them about their repairs. Already recommended to all my friends and family. 5 star for the service. We offer a 24 Month / 24,000 Mile Warranty! We offer FREE Wifi for our customers who decide to wait in our comfortable lobby. If you cannot wait around in our lobby or your repair will take a long time, we offer a free courtesy shuttle within the city limits. We offer extended hours and Saturdays for our customers. We are open Monday – Saturday from 7 a.m. until 7 p.m.
We service, repair, and maintain all makes of import and domestic vehicles. We are ASE certified and experienced to take care of your vehicle. We will not leave you stranded while your car is being repaired. 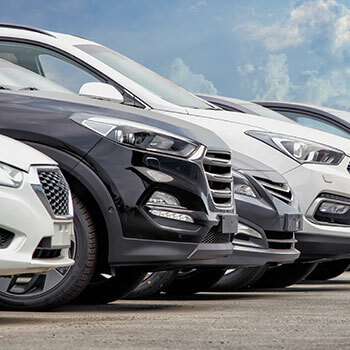 We have Loaner Cars that are available for your convenience. 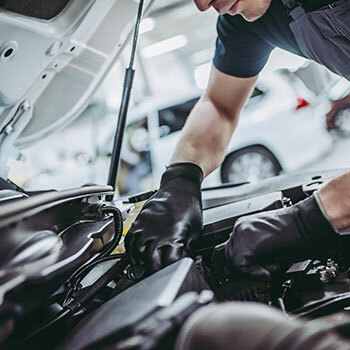 In 1996, Anderson Automotive opened its doors with a mission to provide Olathe, KS, residents with the best domestic and foreign auto maintenance and repair services. We’ve never looked back. We take pride in being a family-owned-and-operated automotive shop with a sincere commitment to our community and the customers we serve. We service all brake types, which means we know our way around ABS systems, disc and drum brakes, and even master cylinders. 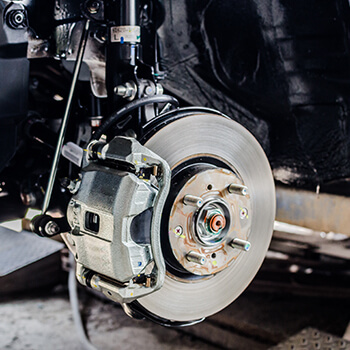 We will inspect and diagnose your brake system issues and then present you with a comprehensive and affordable maintenance and repair plan. 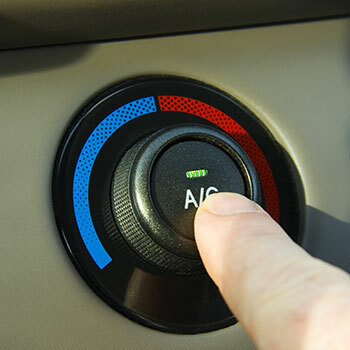 You rely on your vehicle’s air conditioner and heater to keep you cool in the summer and warm in the winter. These systems need maintenance just as any other system in your automobile does, and we haven’t met an AC compressor or heater core we could fix or replace yet. 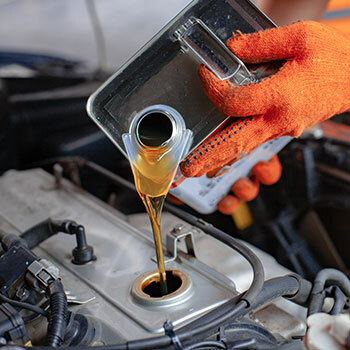 Is your vehicle not running as it should? Does something seem wrong but you can’t quite place your finger on it? Bring your automobile in for a complete diagnostic checkup. 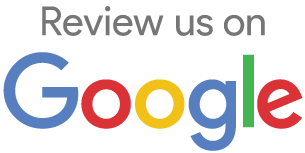 We will check your computer system, drivability, emissions, and fuel injectors. Sometimes repairs mean replacements, and we can handle everything from head gaskets to timing belts to timing chains. In fact, we are experts in total engine replacement if that’s what your car, truck, or SUV needs. We’ll rebuild it to make it better, stronger, and faster. It cannot be stressed enough how important preventative maintenance is. There’s a reason why your owner’s manual has a maintenance schedule in the back of it and this is to ensure your vehicle always operates efficiently and safely. Let us handle your mileage milestone services. 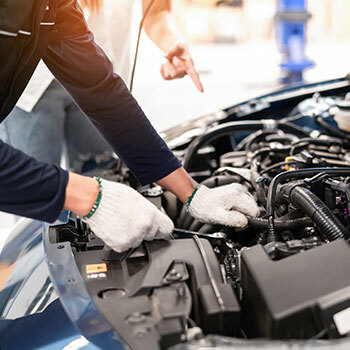 We understand that vehicle owners in Olathe, KS, drive a wide range of makes and models, which is why we are prepared to service or repair your vehicle no matter what. The first thing we offer you is respect. We treat all of our customers with the utmost courtesy and professionalism. We will listen to your concerns and address them with comprehensive maintenance or repair plans that you understand. We also offer our customers certified technicians with years of automotive service experience. If you have places to go and would prefer to drop your vehicle off for its service or repair, we have a courtesy shuttle that will take you where you need to be within Olathe city limits. The shuttle will also pick you up once your vehicle is ready. If you prefer to stay, grab your handheld device and hop onto our free Wi-Fi for entertainment while you wait. Call Anderson Automotive at 913-393-0083 or stop by our Olathe, KS, shop on West 159th Street. We’re open Monday through Saturday from 7 a.m. to 7 p.m. When you trust your vehicle to Anderson Automotive, you trust it to mechanics who believe you are more than a customer; you are a friend. Our technicians will provide the highest quality automotive service. © 2019 Anderson Automotive. All Rights Reserved.